miles, due to prior commitments to care for family members. Land based mainly, but I do have an Excalibur to search up to 5 feet of water. rings in the past and have found the joy shared upon the items return is even more gratifying. Currently I am caring for family members and doing household duties. 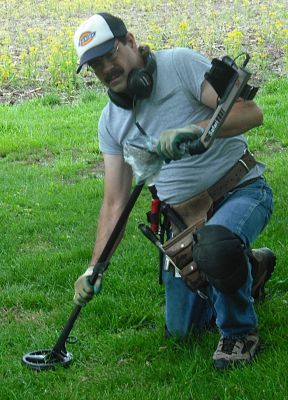 In my spare time and afternoons I like to escape with my detector. Metal detecting has been a long time hobby and passion of mine.